We were initially a bit hesitant to go to Krka National Park. We had already been to the amazing Plitvice Lakes National Park, and were completely blown away by the alien-planet-like landscapes with neon-blue water and flowing waterfalls. The amazing blue yet still crystal clear waters are something out of a movie, not planet earth. If there’s one thing that Croatia is known for, it’s the stunning waterfalls. 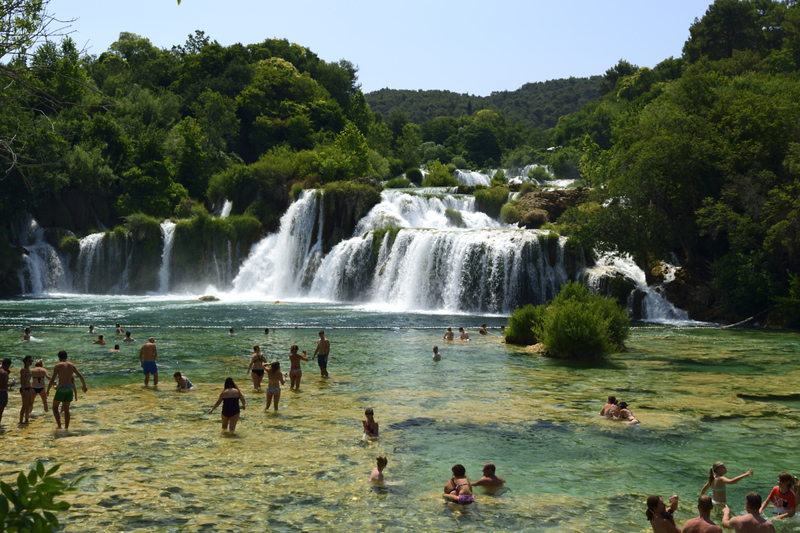 We had heard that Krka National Park is slightly less visually stunning than Plitvice, but the huge selling point is that you can swim in the Krka waterfalls, whereas there’s no swimming allowed anywhere at Plitvice. Honestly, I’d say if you’re going to Croatia you’ve got to see both. The amazing scenery of Plitvice will leave you with jaw-dropping photos, and immersing yourself in the ice-cold waters of Krka is an experience you’ll never forget. Staring at that electric-blue water in Plitvice but not being able to dive in was utter torture for active people like us, so when we heard that you can swim at Krka we knew it had to be done. 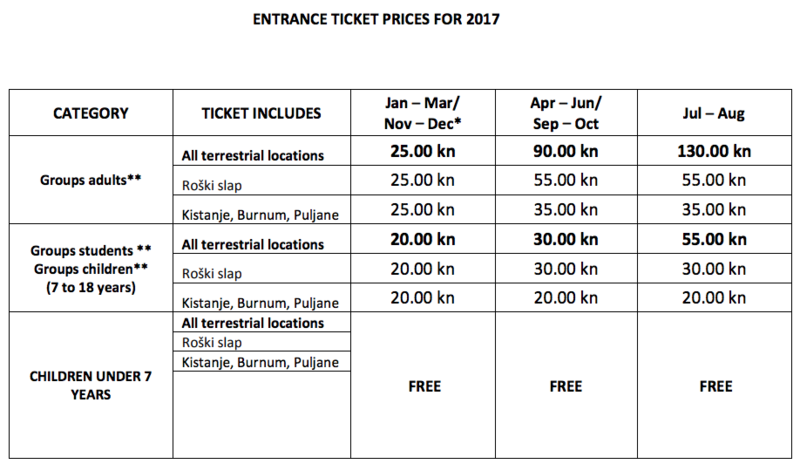 How much is the admission fee at Krka? 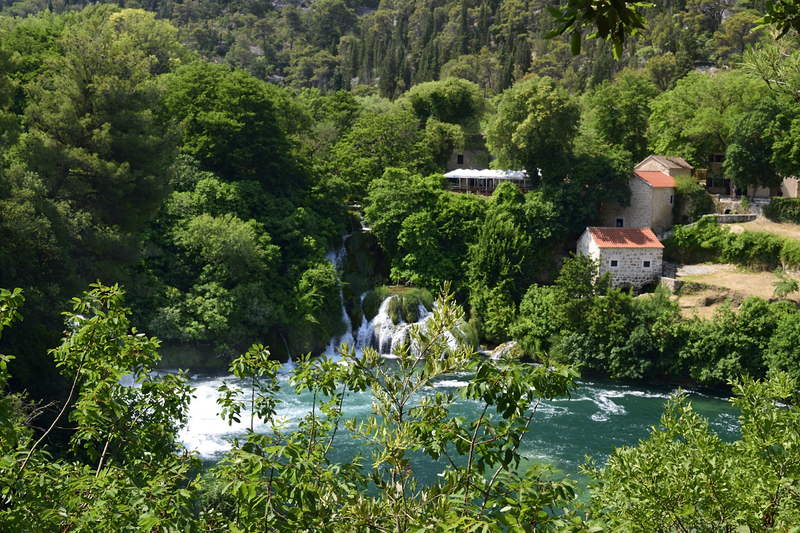 The cost to enter Krka National Park varies by season and year. For the most current prices check out the Croatian government prices page. 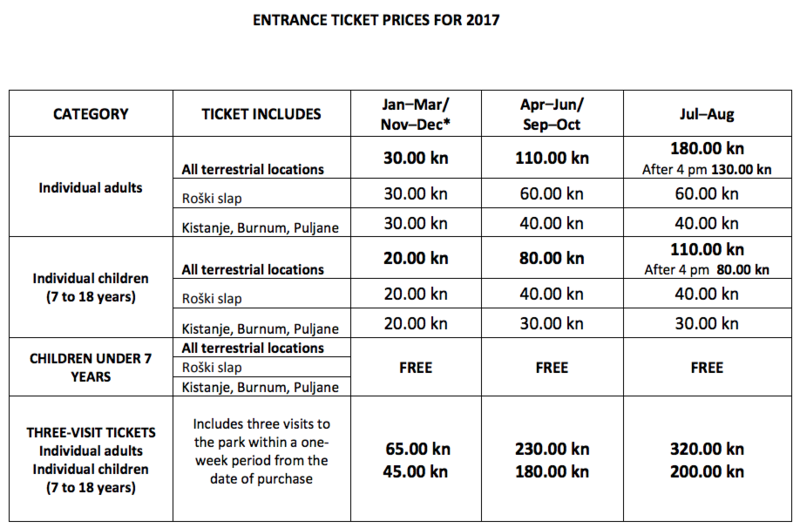 For us, in June 2017 it was 110 kuna. They also offer a significant student discount so if you have a student ID be sure to bring it along, I believe it drops down to 60 or 80kn, so it’s worth bringing! 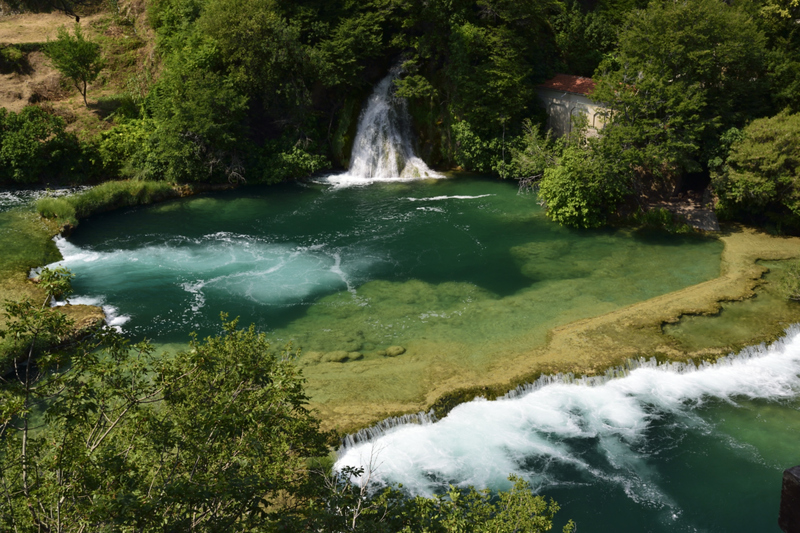 How much time do you need to see Krka National Park? The answer to this will depend a lot on your decisions. If you go how we did, by entering from the Lovazak entrance, you should be looking at between 1.5-6+ hours. If you’re in a rush, you could technically skip to the waterfalls, take a quick swim, and be out of there in an hour and a half. This isn’t what I’d recommend but it is possible. We took a pretty slow-paced walk through the trail for photos and even some underwater video, and enjoyed a long afternoon of warm sun and cold water. We were there for around 5 hours total, but with a family I could see that extending out even longer. 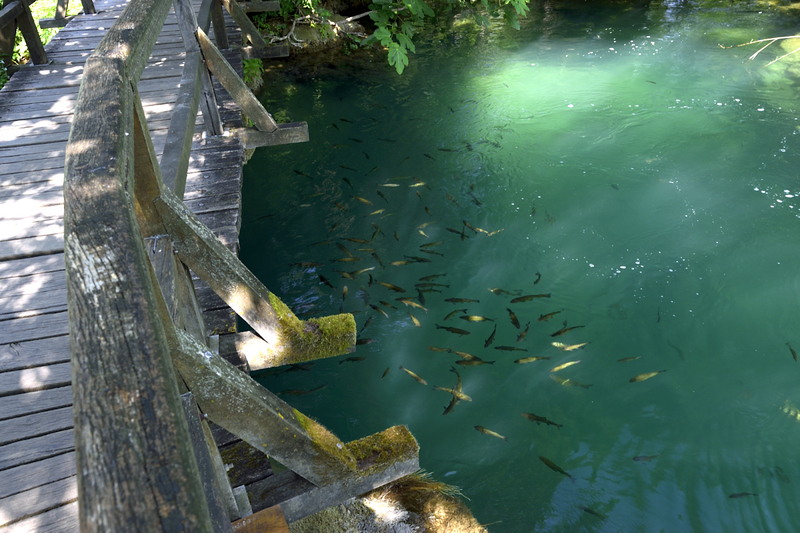 Is there food at Krka National Park? Yes, there are at least two restaurants right by the waterfall that you swim in, and then at the top of the hill by the Lozovak entrance there are some more places to eat. There are also ice cream and water bottle vendors right by the swimming area at Krka. Bring some cash and you’ll be able to spend a whole day by Croatia’s stunning waterfalls! Can you take a boat trip in Krka National Park? Yes. There is the typical ferry-like ride that most people take from Skradin into the park, and then there are also a handful of special boat trips that you can take to places like Roški slap, Visovac Island, and the Krka Monastery trip. If you’re looking to get out on the water, but not necessarily in it then one of those boat trips will surely do it for you. How do you get to Krka National Park? There are technically 5 entrances at Krka National Park. There’s a very slim chance you’ll go to three of them if you’re a typical visitor, so I’ll mention the main two here. The answer on how to get there will depend on where you want to stay the night before, and whether you want to drive to the park by car, by bus, or by boat. 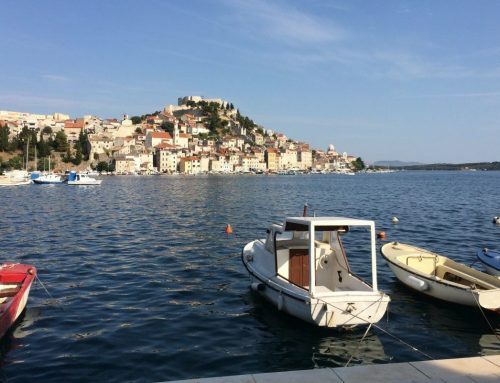 If you’re planning to take a car or bus and you’re looking for a relaxing day I’d recommend staying in Šibenik (pronounced shee-beh-nik) the night before, there are some great hostels and hotels in this amazing ancient Adriatic sea-side town. There’s a little beach on the edge of town, but the walk along the coast to get there is the real gem. If I could do it over again, I would arrive via bus to the Lozovak entrance and get in to the park quickly, and then exit on the boat trip to Skradin. The boat trip looks like it would be really cool so I wouldn’t miss that if I were you. 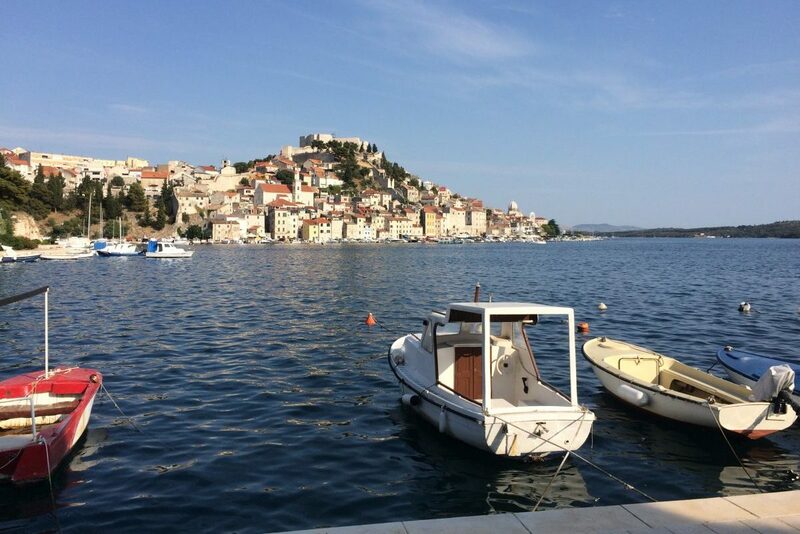 From Skradin you can arrange transit back to Šibenik or wherever you’re staying. The Skradin entrance is where you’ll enter if you’re sailing in by boat.b This is the entrance that will come in on the lower part of the park so you won’t have to take the shuttle bus down the hill, you’ll just pull up on a boat. Keep in mind that if you take the boat in you need to purchase your National Park entry tickets in Skradin before boarding the boat! 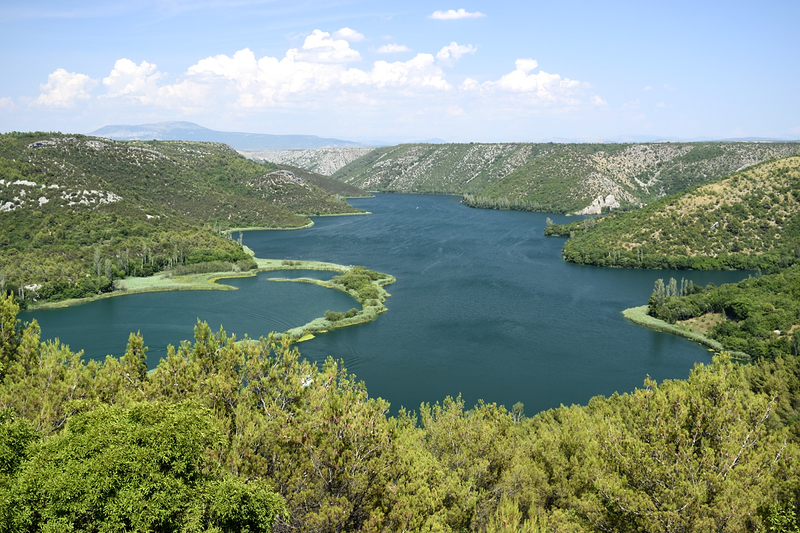 You don’t want to miss the boat and waste time that you could be spending in Krka! Check out the Croatian government page for more information on arriving to Krka by the Skradin entrance. Arriving at Krka by the Lozovak entrance brings you to the tourist center on top of the hill with many restaurants and tourist shops around. If you’re driving you’ll need to find parking here, ideally off the road to the left when arriving. It will probably be busy though so if you’re driving be ready to hunt for a parking space. If you’re being dropped off then simply head over to the tourist center on the right side of the main road when arriving. After paying for your tickets you’ll wait in the parking lot at the top of the hill for the next shuttle bus to give you a ride into the actual park. No motor vehicles are allowed to enter the park except for the shuttle buses. You’ll get a great view of the park from the top of the hill so be ready with your camera! Once you get on the shuttle you’ve got a ~5 minute ride down the hill with some great views. Arriving down the hill there’s a park ranger who will give you a quick presentation about the park before sending you the right way. The path at Krka National Park is one big loop, so you can choose to go around either way. I would say which way to go depends on what time you’ll be arriving and how much time you’ll have at the park to swim. If you want to spend a a fair amount of time swimming in the waterfall, you’ll be best off walking PAST the first entrance to the trail. This will take you down toward the bathrooms and gift shops. Keep going going until you reach a steep group of stairs headed down the hill. If you’re arriving past 2pm and you really want to swim then I’d recommend going straight down to the waterfall because the sun will go down and that water is very cold. The other option is to do the long walking path first and then finish it off with swimming in the waterfall. This is what we did, but mostly because we didn’t know there was an option at the beginning. On the beginning half of the walking path you’re walking through amazing waterfalls and streams. The colors of the plants and clarity of the water make for an stunning combination. And then there’s the fish! Then at last, after about two hours of hiking and photo taking, we arrived at the swimming hole. Croatia gets pretty hot during the summer time so we were really happy with how cold the water was. It was that perfect feeling where you hop in and feel cold when you get out, and have that glorious warming up from the sun on your skin feeling. One thing that definitely needs to be mentioned is the amount of people. The picture below shows only a small part of the total amount of people that were either in the water or on the cliffs to enter the water. We were here there on a summer Saturday afternoon so I think we probably got the worst of it. A tip I would pass on is to keep in mind what you will be bringing with you during your hike. If you’re going to be swimming there really isn’t anywhere to leave your belongings when you get in the water. We ended up using my padlock that I always carry while traveling to lock our bags securely around a tree trunk. Without that I wouldn’t have felt comfortable at all leaving my camera unattended. Having a padlock with me has been a lifesaver dozens of times during my three years of traveling, I’d recommend everyone take one like this one with you on your travels. There isn’t much worse than missing out on an experience because you have to sit and protect your stinkin’ possessions! 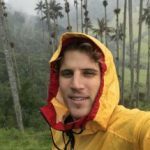 I write for kicks, hope you get some value from it.